iTunes: po.st/akjjit | Beatport: po.st/akjjbp | Traxsource: po.st/akjjts | Bandcamp: po.st/akjjtbc | Google Play: po.st/akjjgp | Spotify: po.st/akjjbsp | Apple Music: po.st/akjjam | Deezer: po.st/akjjdz | Tidal: po.st/akjjtd French producer Armless Kid is set to have his biggest year to date in 2017, playing key international gigs and reaching a global audience with his productions thanks to a helping hand from his friends at Classic. A young self-taught artist who has been working the Paris house circuit for a little while with collectives like Copie Blanche, Xavier aka Armless Kid is right at home on Classic with his inventive ‘anything goes’ approach to producing. 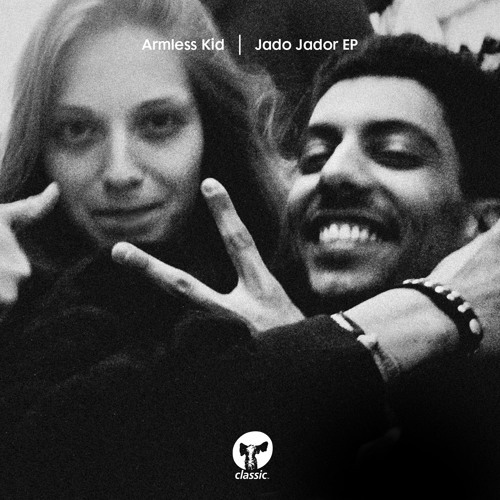 Over just three tracks on ‘Jado Jador EP’ he covers synth-enhanced jacking grooves (in opener ‘Loubar’s Stars’) featuring the diva tones of Queen Rose, heady BPM-cranked wildness on ‘BDX Biches Gang’, finally finding a glorious middle ground with heavyweight syncopated beats and tight chords on ‘Road To Grand Champ’. It’s a real trip.